By age 20, Mary Olivia Lucas, of Louisville, Kentucky, was married to Charleston-born George Washington Harby. A writer and teacher like his older brother Isaac, G. W. Harby ran an academy in New Orleans. 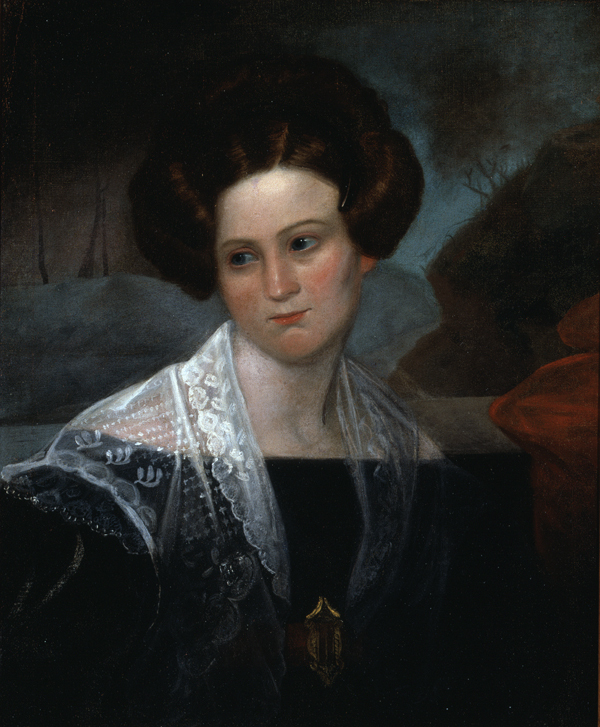 In this portrait Olivia wears a lace shawl with a motif that resembles the Hebrew letter shin (ש), the initial letter of Shaddai, one of the names of God. She died of cholera while visiting her parents in Louisville in 1834.